Hello, everyone! It's Friday and I'm posting!? That's because I really wanted to join in on this fun link up. This writing special is going to have five parts, each part posted every Friday of this month. All the other blogs participating are linked below. I'm going to share about a series I'm currently rewriting, six novellas called A SERIES OF THOUGHTS. Twin planets, Orsona and Babel, are unique in that society has almost achieved the dreams of a perfect Utopia. The gasses of the three moons combined make it so all can know each other's thoughts. There are no secrets, no divisions, no misunderstandings. Or so that is the constant struggle. It's been almost a century since mankind relocated from Earth, but there is still work to unite everyone. What does it mean to think, to speak, to choose? The questions of the ages are being tumbled about. Follow Six young people as they learn to deal with their thoughts and the thoughts of those around them, and as they learn just what it means to live life. Describe your WIP in ten short phrases. How did you come up with the idea of your story? It was almost four years ago. My mom picked me up after I'd just finished cleaning a house for someone. I was pretty miserable, as before going I was covered with welts from mosquito bites, and after cleaning and using a lot of bleach I also had terrible rashes covering my arms. Also, the bleach was affecting my breathing. Never having been a fan of science fiction, I told my mom, "I'm going to write a science fiction that has giant blood thirsty mosquitoes and bad guys that ride them and shoot bleach guns." After that... the story just happened. I sat down, started writing, and words became a young black man attending University of the Mind (OUM) where a professor was speaking to them about the three moons. I'm not really sure how the story took over from bleach guns and giant mosquitoes. Why did you choose to write this WIP? What gave it priority over all the other plot bunnies? I had just decided to be serious about my writing, joining GTW's 100 for 100 challenge. I had never written a story longer than a few thousand words. So tackling a longer story was an exciting idea. I wrote was has now become the third book of A Series of Thoughts. Why did it receive priority? You know, I'm not sure. I've never been able to understand why I decide to write one book over another. I have many ideas, true. But I've always been the type to stick to one at a time till it was done. Maybe I was just really frustrated with bleach and mosquitoes and had to let those feelings loose? Haha, who knows? How did you go about preparing to write it? I wrote book #3 back when I was 18. And never thought it would become more. But over the last few years sequels developed inside my mind. Then this last year I realized I was ready to write the rest of my series. I challenged one of my best friends to write novella for novella during NaNo. We each has an idea for a six book novella series, accumulating to at least 100k words. So it was perfect! NaNo was a hectic month for both of us! I prepared for my novellas by... thinking, and writing down a title for each one, and a small page of basic details. I managed to write most of the remaining books during NaNo, over 80k words. I finished up the series in December. And that's all the preparing I did. Did you have to do any research for this story? What was the most interesting/funny story connected with your research? Well, I need to do research now. I need to research spaceships. I should read some sci-fi books, fiction and nonfiction. But I really don't like sci-fi. Sometimes I feel I may have wrote the only good sci-fi. Weirdest story? Ah, I really don't know. Was this story easy or hard to write? Why? Most of the books were easy to write. Silent Thoughts was a little hard as it was one of the first longer things I ever wrote. Also, I didn't know what I was writing. I had a vague idea of the ending. But I didn't know my characters or plot. I discovered that all, 100 words a day. When I wrote the rest of the books this last year it was a lot easier. I was writing 3-5 thousand words a day and feeling great! I kinda knew my characters, though a couple of the books I discovered the plots as I wrote. It was a satisfying experience, and I loved the journey! Where was your favorite place to write this story? I love my characters soooooo much! And all the ideas and struggles they face. I just love how much I learned through writing about them learning about life. I can't wait to share about my characters in a future post! What do you think? Do my novellas sound a little interesting? This is a really cool concept! I loved hearing about how they communicate. And your inspiration is hilarious, though I'm sorry it was at your expense. I can't wait to hear more about your WIP!!! This sounds so interesting, I love it! Christian political sci-fi??? With giant mosquitoes? WHERE IS THIS BOOK IN MY LIFE?????? I love hearing about pantsters being successful in their writing. Makes me really happy. (I used to be one, but couldn't finish that way.) You go, girl! Oy, A Series of Thoughts sounds really cool! I can't wait to learn more about it this month! oh, yay! Glad you like it :D I'm seriously so excited to be writing this series. And pantsing it the only way I can write. Thanks so much! Speaking through thoughts that's a really neat concept! This sounds like a cool story! My bed is my favorite place to write too! Having the WIPs as novellas is a brilliant idea. And I like the progression from mosquitos and bleach to science fiction! Can't wait for the rest of the tag posts! At heart I'm a short story writer, and I've only written three novels... each of which are short. So novellas are kinda natural for me :D I'm glad you like it! Wow, the premise of your story sounds so interesting! I can't wait to hear more about your story (and characters!) I love hearing people talk about their characters. It makes me happy when people get to talk about the things their excited about. Oh, thanks so much! I really love my characters too and can't wait to share about them! Seriously, this idea is so wickedly cool! THIS SOUNDS SOOOOOOO GOOD, OH MY GOSH!!! I don't usually lean towards dystopian (though Hunger Games IS a favorite of mine xD) but this sounds SUPER DUPER INTRIGUING!! This sounds really cool! I look forward to hearing more about it! KETURAHHHHH!!!! Why have you kept this book from me. I must have it now before I explode or something. The idea.... Oh my goodness. I write sci-fi too, but this is entirely unique. We must has the precious. "All can know each other's thoughts" - that would offer so many opportunities for conflict and worldbuilding quirks, I'm sure! And it's illegal for them to talk aloud?? haha, no kidding! Yesterday I had my sister get me a pike of books from the library on outer space. And children's books. I can't believe I'm going to read them.... a couple years ago I'd be like, "Never!" 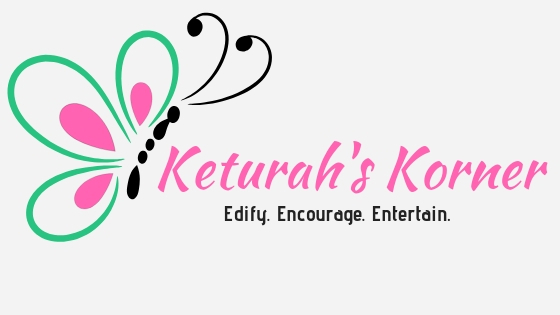 I would read these, Keturah! 1. They sound so awesome!